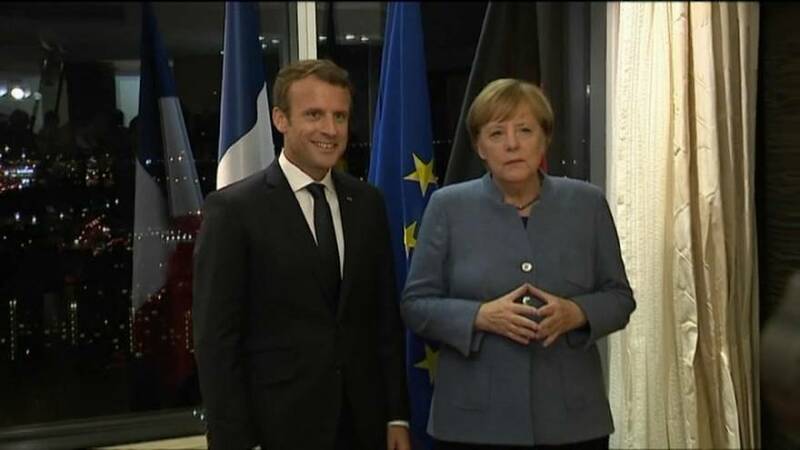 French President Emmanuel Macron has set out his bold vision for European renewal, urging increasing cooperation on defence, migration and the Eurozone budget. In a speech judged idealistic by many commentators, he said that there were “no red lines, only horizons”. Whilst Lithuanian President, Dalia Grybauskaite, responded on twitter by cautioning against mirages, German Chancellor Angela Merkel said his remarks paved the way for an “intense” partnership between the two countries. Whether or not she will be able to deliver this given political upheavals at home, remains to be seen. But even as EU leaders talked about moving ever closer, one country was struggling to break free altogether. Accompanied by Estonian pipes which bore a striking resemblance to their Scottish counterparts, Britain’s Prime Minister Theresa May arrived at an informal get-together ahead of the digital summit in Estonia hoping to inch closer to a Brexit deal. Images from the opening dinner suggest that the UK Prime Minister remains quite isolated. She still has a seat at the table – just – but she’ll need to make it count if she wants to bring home more than crumbs from this latest diplomatic effort.